Jennifer McQuiston’s debut historical romance, What Happens in Scotland, is a lively, romantic adventure about a wedding that neither the bride or the groom remembers.Lady Georgette Thorold has always been wary of marriage, so when she wakes up next to an attractive Scotsman with a wedding ring on her finger, it’s easy to understand why she panics and flees. Convinced that Georgette is a thief, her may-be husband, James McKenzie, searches for her. As both try to recall what happened that fateful night, they begin to realize that their attraction and desire for each other is undeniable. 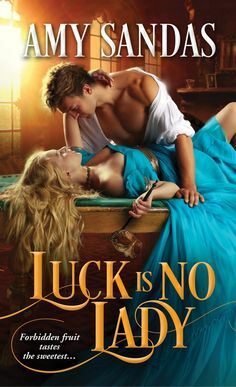 But is it enough?Fans of Sarah MacLean and Mary Balogh will enjoy this charming historical romance from New York Times best-selling author Jennifer McQuiston that features unforgettable characters and a satisfying mix of adventure and passion. When Georgette awakens in the arms of a naked stranger, she is stunned to discover that she has no memory of the previous evening. She has no idea how she got into a strange bed but apparently she has done some pretty scandalous things…and then she finds a ring on her finger….and in a fit of panic she hits her new apparent husband over the head with a chamber pot and abandons him and flees. When Georgette returns home, she finds that her memory is starting to slowly return….like she has to put the pieces together….so she starts investigating trying to find out the identity of her “new” husband. But when she finally does find him….she finds out he has been trying to find her because he believes her to be a thief, and doubts that they are truly really married….as they together search to find out the truth….there is something powerful building between them….and they start to wonder if and when they find out if they are truly married….will they both want to stay married? James, has been working so hard to build his life up….to not depend on his father and his family…to prove to them that he is more than the scoundrel he used to be. But then he realizes a majority of the money he has earned for himself, has disappeared along with his “Wife” so he goes in search of her believing that she is a thief, and he is determined after all the pains he has suffered to get his money back, but when he finds her, he is furious and as they search for the truth together….he starts to have tender feelings for his new wife and doesn’t want to have to let her go. What Happens In Scotland was a fun and adventurous romance novel….and I am so grateful and Avon and Edelweiss gave me the opportunity to read this and be able to review it. When I first saw the cover….I was thinking “This Is A Must Read”, it just drew me in and the moment I was the Synopsis, I was hooked, I started reading it, and I was amazed by how much I loved it. Jennifer McQuistion is a new author…and I just loved her style of writing. It was witty, and crazy, and a breath of fresh air. Most historical aren’t very comical without ruining the whole plot…however I loved how McQuiston just put everything together, and how smoothly the story flowed and synced together to make a truly magical love story that will put at the readers heartstrings. There were quite a few things I loved about this story. One of the first was how Georgette just bangs her new husband over the head with a chamber pot (now that was pure genius) and I definitely laughed my head off at that one, and I just loved the creative way Georgette goes about to find her Husband….there were so many things that made me laugh and just got me more into the story. I also loved how Georgette and James interact with each other. At first they are enemies…and then friends…who turn into lovers….and there is definitely some twists and turns…and as always…a Villian who really makes things happen….Overall A Delightful Read that will make you eager for more from this debut author! A veterinarian and infectious disease researcher by training, Jennifer McQuiston has always preferred reading romance to scientific textbooks. Her debut historical romance, WHAT HAPPENS IN SCOTLAND, made the New York Times and USA Today bestseller lists. Her second book, SUMMER IS FOR LOVERS, is available now, and book #3 in the series, MOONLIGHT ON MY MIND, is out March 25, 2014. Visit her website at www.jenmcquiston.com or follow her on Twitter @jenmcqwrites.